Readers of this blog will question – as we did – why ‘Wally’? Where did the chair design originate? Who was behind this unusual project? We think the answers to these questions lie in the story of an entrepreneurial Brisbane optometrist, Walter Flegeltaub , specifically, in an unexpected and prolonged sojourn Walter made to India and Ceylon in 1903. Advertisement for Flegeltaub’s Optical services. Maryborough Chronicle and Wide Bay and Burnett Advertiser, Wednesday 19 July 1901, p. 3. In 1901, Walter Flegeltaub was a practicing optometrist with rooms at Central Chambers in Brisbane’s bustling Queen Street, having, by his own account, gained his ‘Diometric Degree’ from the British Optical Association some years earlier. 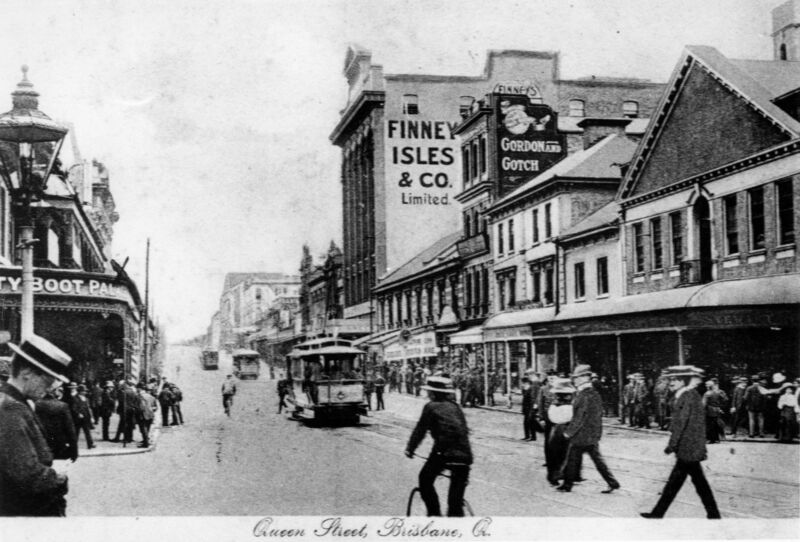 Looking South on Queen Street, Brisbane, c. 1903. Image: John Oxley Library. Sometime in 1902, Walter set out on an extensive tour of England where he spent his time visiting and evaluating optometrists’ practices and optical manufacturing works. His subsequent reports of progress in the British optical profession were glowing. In a newspaper interview given to journalists on his return to Brisbane, Walter noted that, since his previous visit to England about four years earlier his profession had ‘made wonderful strides’ and obtained a standard ‘that was far higher owing to the more complete examinations conducted by the British Optical Association’. ‘It is practically compulsory’, Walter declared, ‘for opticians to hold certificates before practising and I think it would be a good thing if such were the case in Australia’. Unfortunately, while in England, misfortune befell when a sudden illness struck Walter requiring him to have surgery. On his recovery he was compelled, on medical advice, to seek a more benign climate in which to convalesce. Accordingly, in a decision for which we can yet find no apparent reason, but perhaps acting on the guidance of others, Walter determined that he would visit India where he arrived first at Bombay (Mumbai) and then ‘subsequently visited all the principal towns in that country’, where, on inspection, he found the standards for optical care were, in his opinion, ‘not high, although progress was being made slowly’. It seemed that Walter’s destiny lay in India for it was there that he was to meet his future wife, Florence Heydon. Born in India in 1880, Florence was the daughter of a British military officer, William Heydon. Details of what must have been a whirlwind courtship are not known, but Walter and Florence were married in St Andrews Church, Chennai (formerly Madras) in 1903. 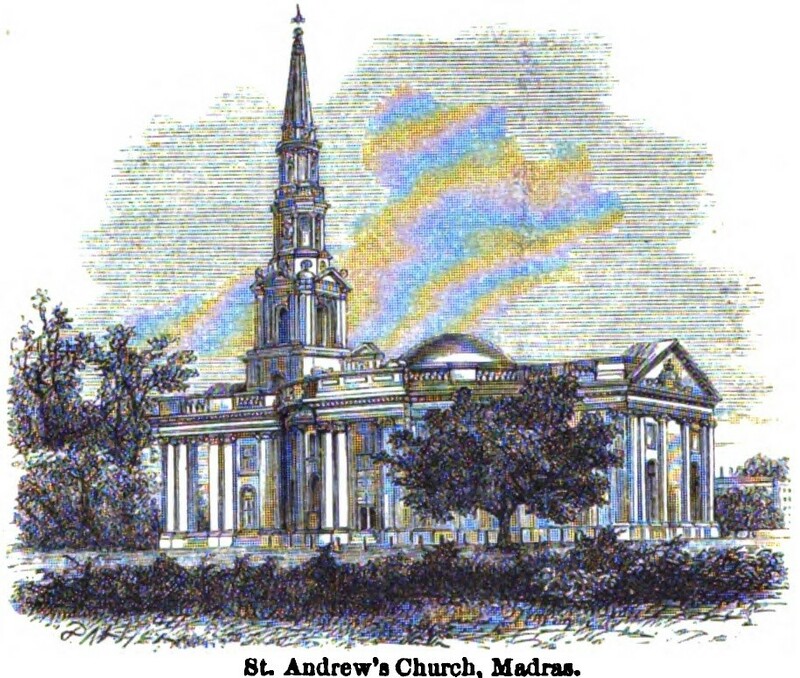 St Andrew’s Church, Madras. Image: Illustration from MacLeod, Norman (1871). Peeps at the Far East: A Familiar Account of a Visit to India. London: Strahan & Co. Out of Copyright. The couple shared a mutual love for the Indian sub-continent which was evident in their choice of Nuwara-Eliya, after a city of the same name in central Ceylon, as the name for their newly-built home in Riverview Terrace, Ascot. In an interview on his return, Walter’s admiration for India, and especially, Ceylon, is evident: ‘In all my travels during the last four years I have never seen anything to approach the scenery of Ceylon especially that which may be observed on the trip from Kandy to Nuwara Eliya’. 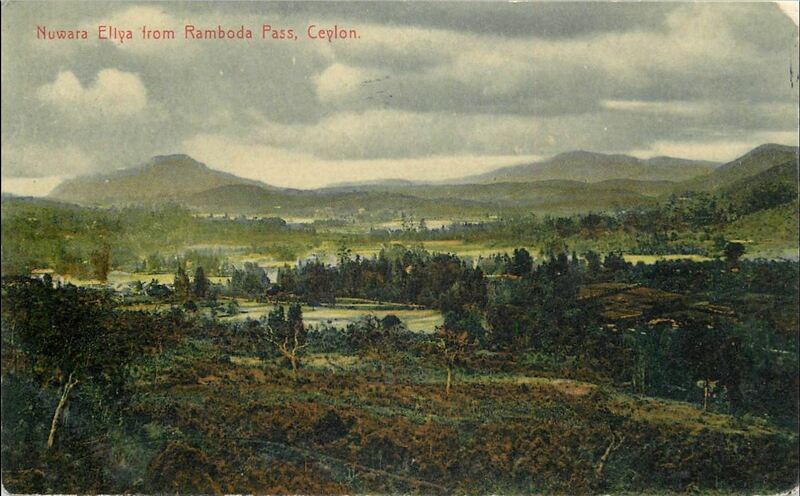 Nuwara-Eliya from Ramboda Pass, Ceylon, c. 1900. Postcard image out of copyright. 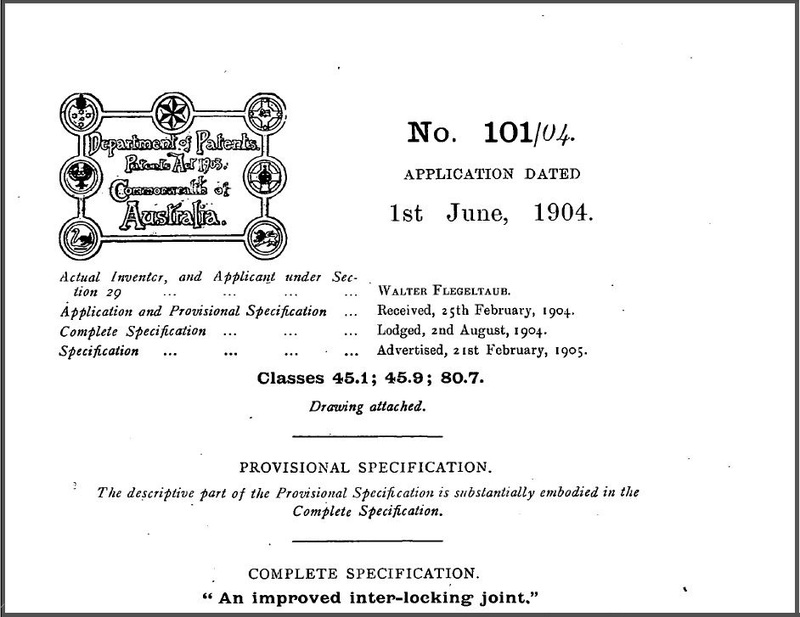 Intriguingly for our story, only two months after his return from India in December 1903, Walter applied for a patent on for ‘an improved interlocking joint’ at the newly- established Australian Patents Office. Walter’s application, No. 101/04, dated on 28 February 1904, was one of the first to take advantage of the Patent Office which had received its first application on 13 February 1904. Acceptance of Walter’s provisional specifications by the Patent Office was published in the Commonwealth Gazette, 18 August 1904. Having secured the rights to his design, Walter set about commissioning a joiner named John Storie Junior, a local Alderman and president of the then newly-formed Ithaca Borough Council, whose family owned joinery works, Storie’s Joinery, in nearby Red Hill, to make a dozen chairs for the Exhibition. Made from a single piece of wood with cleverly-contrived interlocking pieces, the ‘Wally’ chair was first exhibited in Brisbane in August 1904 at the ‘Exhibition’, today more affectionately known as the ‘Ekka’. 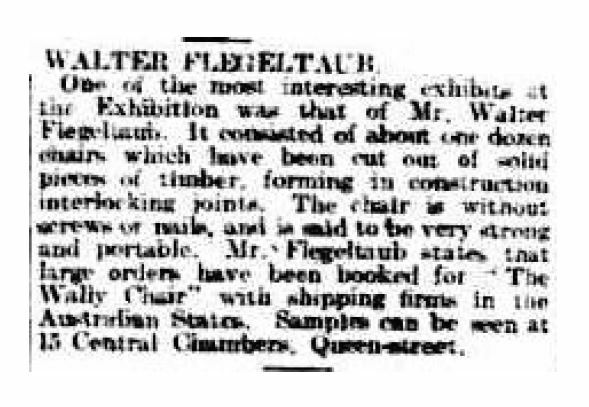 A description of the chair from the Brisbane Courier 28 May 1904 implies that, although it looks like two pieces of wood, it is in fact a ‘solid piece of wood sawn from either end to near the centre and the centre portion has been cut to form the interlocking joint’. After reading the account of Walter’s travels and understanding his deep admiration for Indian culture and art, the idea occurred to both of us that something he had seen in his travels might have prompted an idea for his chair design. And then … after some searching … we noticed an object that, though much smaller in size, may have provided the inspiration for Walter’s chair design. 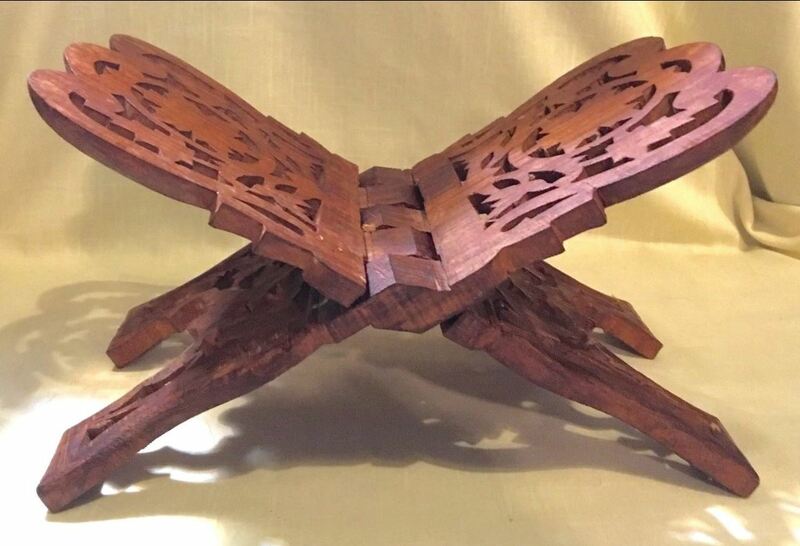 Seen in temples and homes throughout India, Pakistan and the Middle East and as far afield as Bali, folding wooden stands such as this are commonly used as bookstands to display sacred texts such as the Bible, Quran, Bhagavad Gita or any other prayer books. 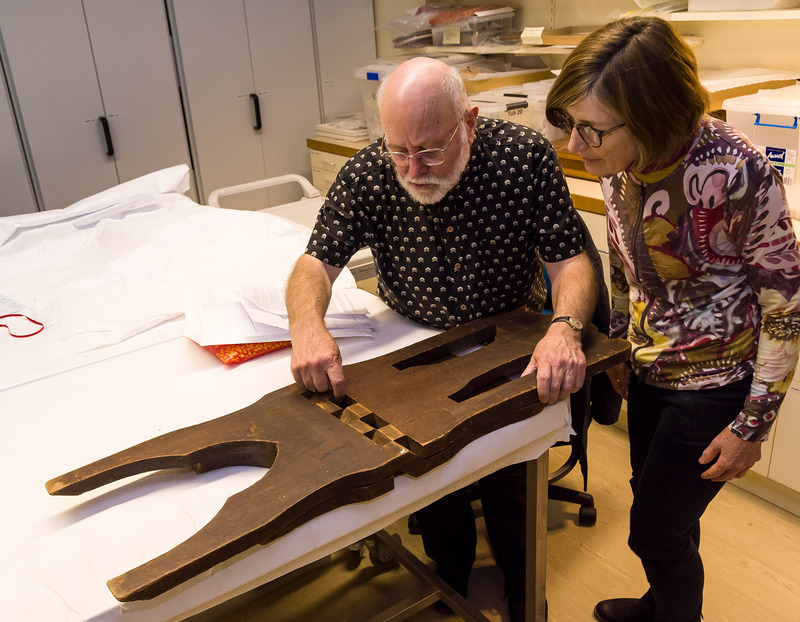 Like the ‘Wally’ chair, they are made from a single piece of timber, in this case, rosewood, using a system of interlocking joints. At this point we leave you to draw your own conclusions …..
Walter’s story doesn’t end here though. If you’d like to know more about Walter’s and the Flegeltaub family’s history, keep a lookout on the Queensland Museum’s blog for Parts 2 and 3 of this continuing history. If you have information to help us solve this mystery, please contact us via museum@qm.qld.gov.au, Facebook or Twitter.